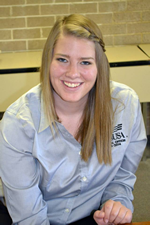 A big congratulations goes out to Leah Rife, the SkillsUSA College/Postsecondary National President. Leah is at Pikes Peak Community College, and was featured in the summer edition of Champions magazine! Check out her article which begins on page 8! Previous Previous post: 2014 SkillsUSA Colorado State Conference: A huge success!